Juche (Chuch'e) is the national ideology of the Democratic People's Republic of Korea (North Korea). 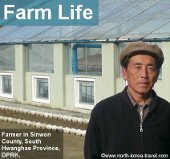 It was created by Kim Il Sung and focuses on self-reliance. This philosophy was first mentioned in 1955, then in 1965 Kim Il Sung made a speech in Indonesia presenting the idea to the international community and directing it to developing nations. Chuch'e in fact goes beyond the mere idea of self-dependence and like Kim Il Sung defined it is the "independence in politics, self-reliance in the economy, self-defence in the military". He further stated that "the revolution and construction are man's conscious activities to establish Chuch'e in ideology means having the consciousness that one is the master of the revolution and construction, thinking and doing everything, centring on the revolution in one's own country, and acquiring the viewpoint and attitude of solving all questions by one's own talents and initiative. The party and people of a country are masters of the revolution in that country". Despite its national characteristics, this philosophy was also presented as a solution to developing countries. International seminars held by the DPRK government have taken place since 1977. 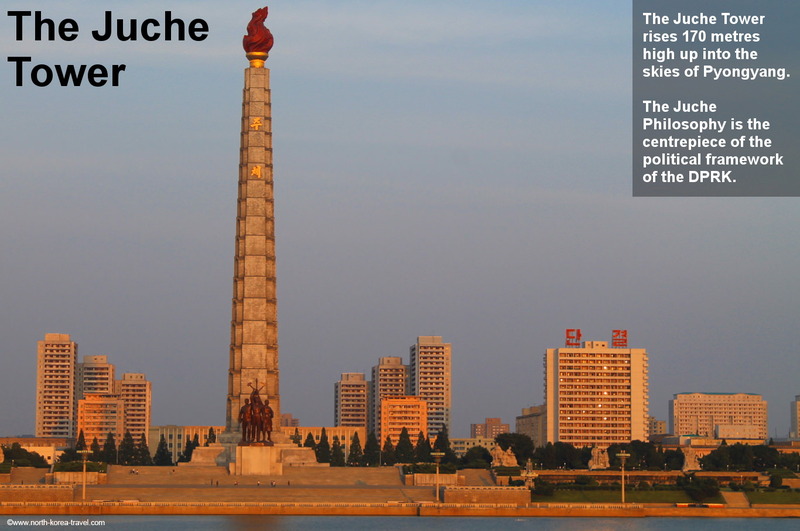 The word "Juche" can be read on the Juche Tower. At an early stage after its foundation, Marxism-Leninism was embraced in the DPRK. However, the President Kim Il Sung did not want any dependence on the two major communist giants that surrounded the DPRK; the USSR and China. This philosophy was first seen as a creative application of Marxism-Leninism and gradually gained importance in becoming the major line of thought of the country. 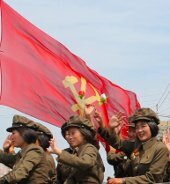 The Chuch'e philosophy also has a strong nationalist feeling to it which you will be able to encounter first hand in North Korea. 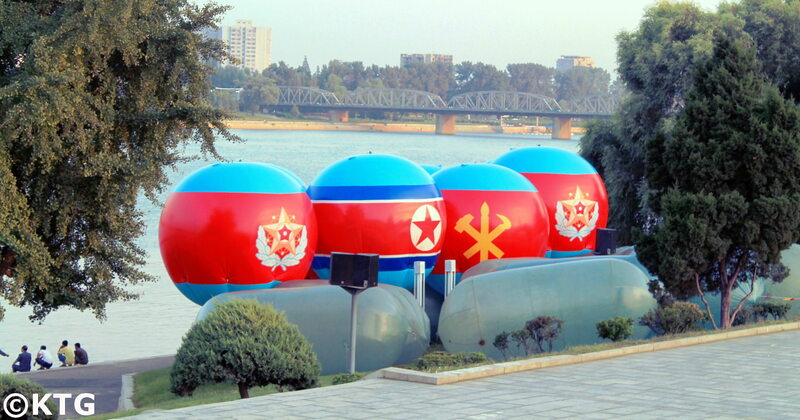 In the image above you can see the DPRK's flag, that of its military and the Party Symbol. This philosophy has reached such importance that there is a Chuch'e calendar; the first year of the Chuch'e Era starting with the birth of its founder, Kim Il Sung (also referred to as the Sun of Chuch'e) in 1912. Thus 2008 is Juche 96. Many observers believe that North Korea's policies, both domestic and foreign have been shaped by this ideology. The current Songun policy, meaning military first, can be taken as an example, where priority is given to the needs of the DPRK Military. 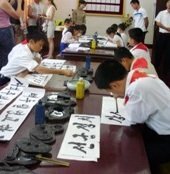 Please click here to go from our section on the Juche Philosophy to see information about the USS Pueblo.